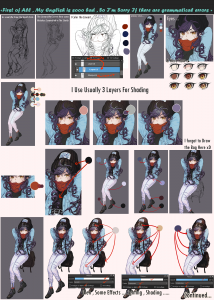 This time, I will explain how to start MediBang Paint. ② If you created an icon on the desktop, double click on the icon. 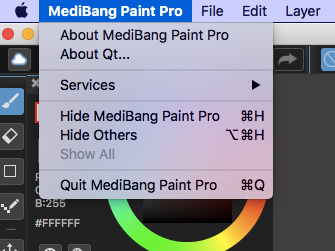 Double-click the MediBang Paint icon in the application folder. Then, such a screen will be displayed. 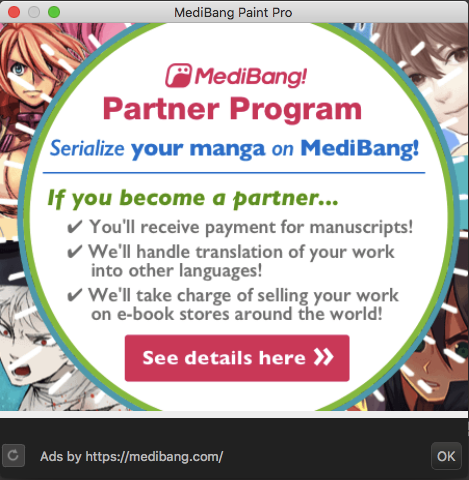 If you are interested in advertisements, you can click the image part and jump to each company’s website and check the details. Click “OK”. You can close the ad screen. Such a screen will be displayed. The operation differs depending on 【When logging in and using】 and 【When not using login】. 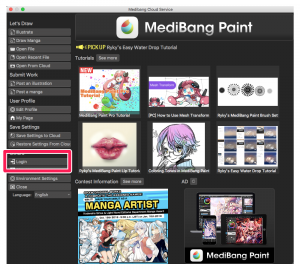 ① If you have already registered for “MediBang” login form(A), you can login by entering the registered e-mail address and password. · You can save cloud. 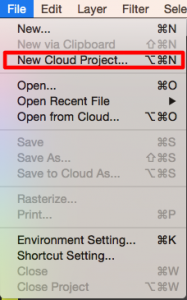 · You can use cloud fonts. · More materials can be used. 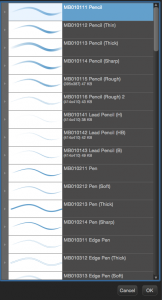 · The number of usable brushes increases. 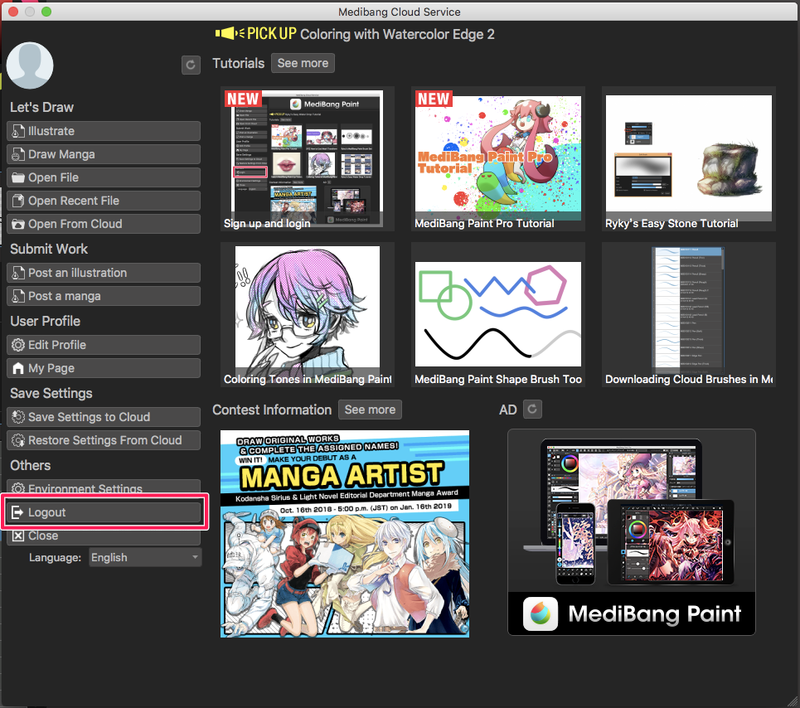 · Manga project management function can be used. · Team making function can be used. •Synchronize the setting of pallet, brush, material of PC with other terminals. 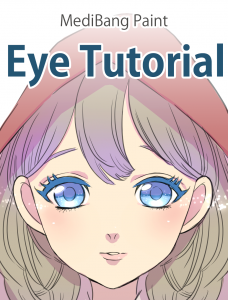 · Illustration · Manga posting site You can post one click on MediBang! 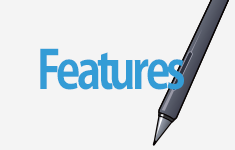 Functions such as can be used. 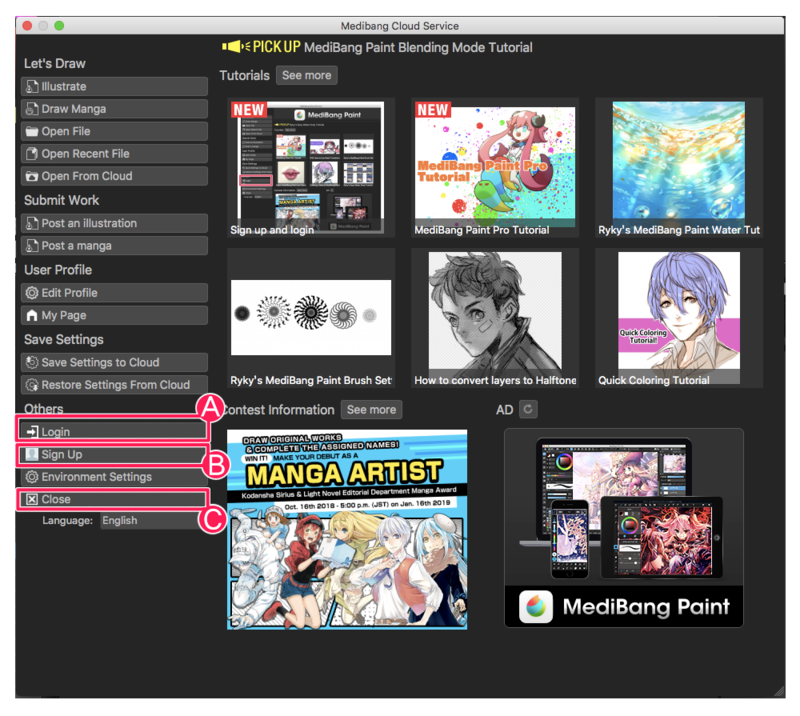 If you are not registered as a member, you can create an account that can be used with “MediBang Paint” by clicking on “Sign up”(B) and registering newly in “MediBang”. The e-mail address and password entered at the time of registration will be the e-mail address and password that can be used on login form(A). ② When logging in, a window to confirm such user name is displayed. 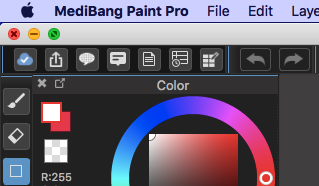 Click “Close” to display the drawing screen. You can close the login screen by clicking “Close”(C). Even if you are not logged in, basic functions are available. It can be terminated by either of the following two methods. ※ If you exit without logging out, the login status will continue.